QUEBEC - The Quebec government will inject an additional one-shot $60 million into the province's daycare network to help offset far more radical cuts to the system. Government funding for daycare centres is being chopped by $120 million a year as part of the province's drive to balance its budget. Of the $60 million, $41 million will go to the public network and $19 million will be allocated to the private system. The money is aimed at helping them cope with the looming cuts. Family Minister Sebastien Proulx made the announcement in Quebec City today. 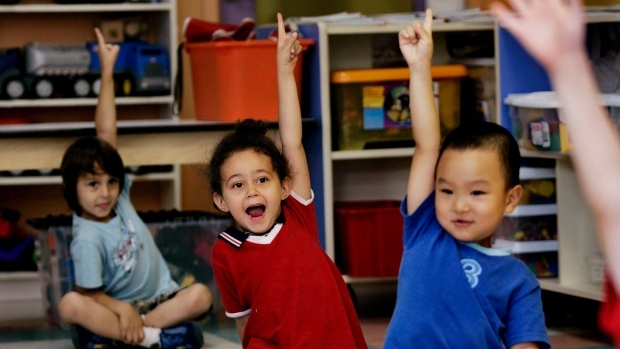 Quebec contributes about $2.4 billion to the daycare system each year.